$31.99 & FREE Shipping on orders over $59. 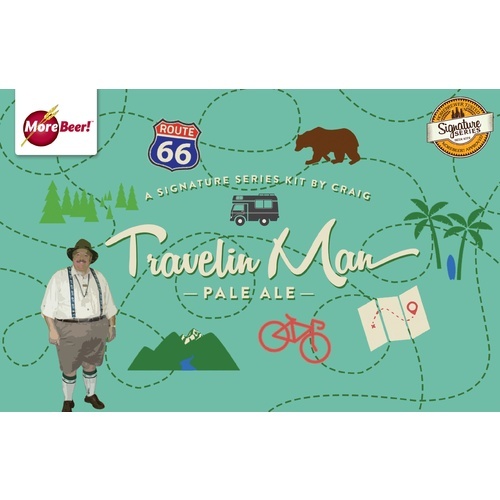 (Makes 5 gallons) Craig has been perfecting his Travelin Man recipe over the years by brewing for competitions and for his own consumption at home. 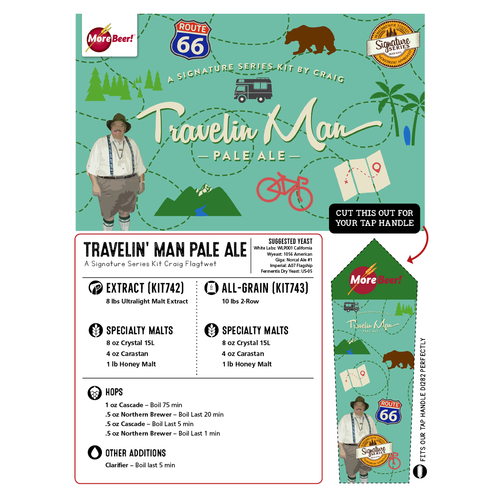 Travelin Man is at the high end of the pale ale guidelines, with a nice balance between the malt and hops. This is a great beer to let cold condition. Cold conditioning brings forward the malt flavors and makes it even easier drinking. Craig created this beer to take the edge off a long day of driving on the southern California freeway system and as his house ale. So whether you have been to the East or just feel like someone has given you the third degree, this fine ale will deliver what you are looking for. Craig recommends using White Labs California Ale Yeast. I've made this before & people ask me for more. Because Craig looks so well dressed in the photo. So mote it be brother. A nice beer for the end of the day; it mentions cold conditioning, and I absolutely agree; after a few weeks in the keg it gets smoother and bready, just the way I like it. 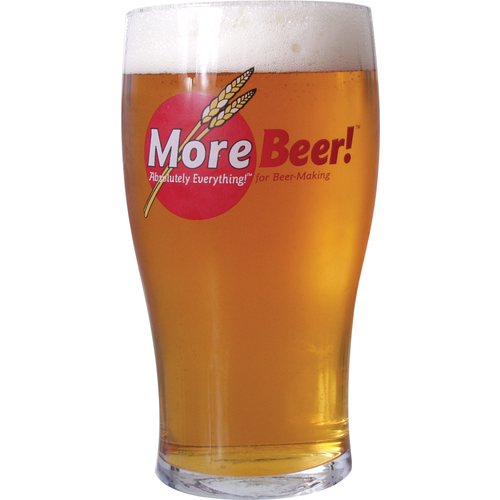 I brewed it with WLP-001 at 70deg (a warm week in a not-so-cooled closet) and it came out fine. Tasted this two weeks after bottling. Not bad. I did not try it again for another week or two. Wow. What a difference. I will get this kit again for sure!! My son travels internationally in his work. Naturally, he samples local beers where ever he is. I made this genuine USA Travelin' Man Ale, and always make sure he has a supply to come home to. We both love it.